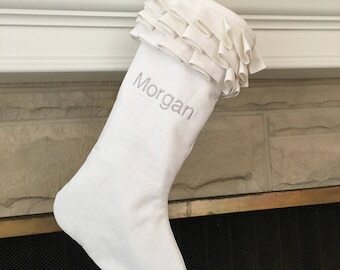 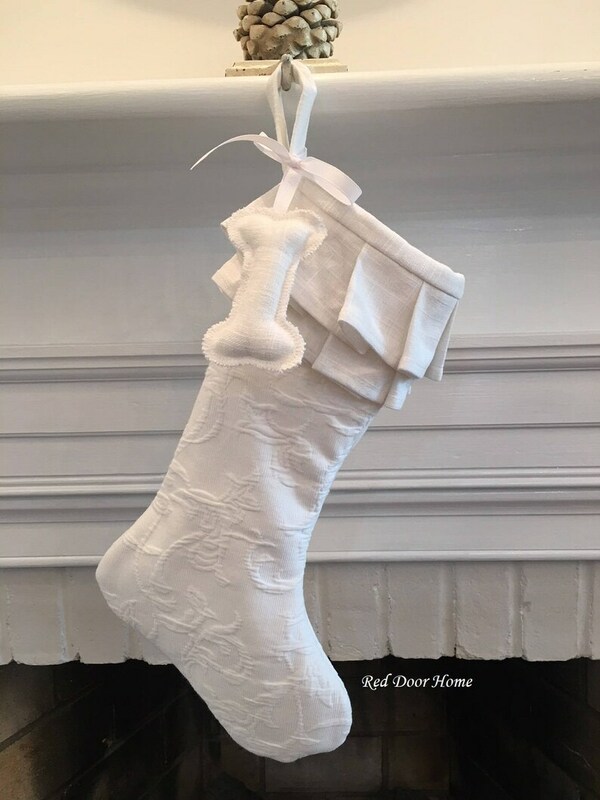 Add holiday cheer to your home for the special dog in your family with this simple and elegant white ruffle top matelassé stocking. 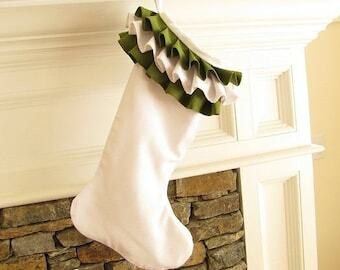 Made of a white matelassé bed spread, this stocking features two layers of linen ruffles and is fully lined and interlined. 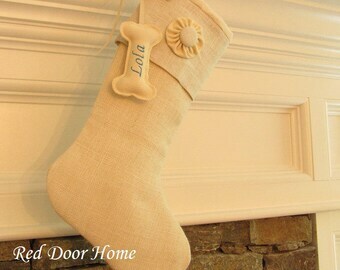 Includes white linen hanging dog bone tag. 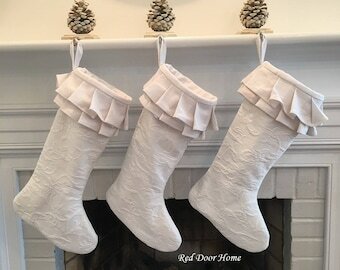 Coordinates perfectly with my other white linen, chenille and matelassé stockings! 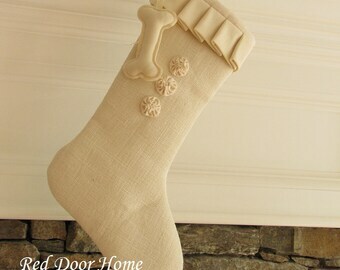 This listing is for one dog ruffle top stocking. 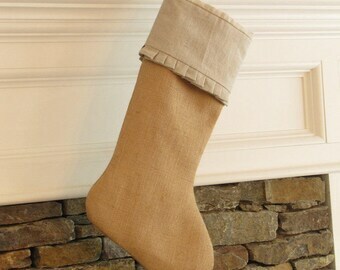 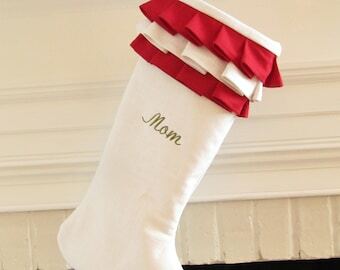 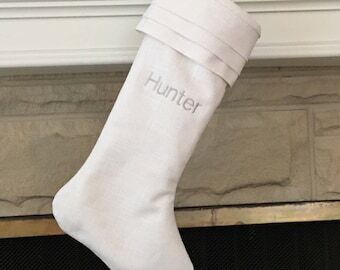 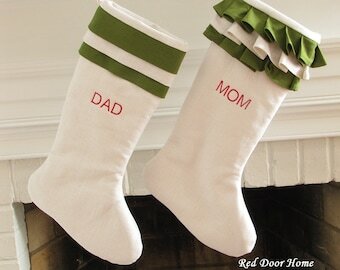 Once this stocking is sold out I can not make more. 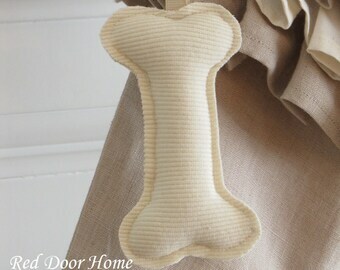 The dog bone tag can be embroidered for an additional $6.